Our owner Joel, who will answer to Bob, has been repairing storms and screens since 1979. Single and double strength glass is always available to finish a project or fix an emergency break. 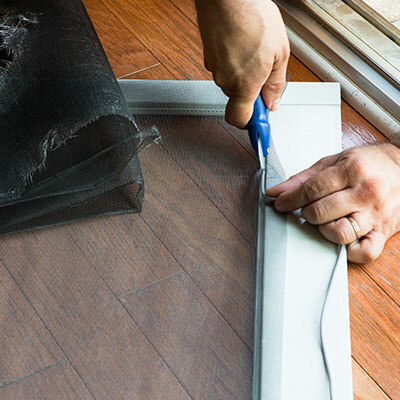 We also repair your wood, aluminum, or vinyl sashes in our shop to keep your home in good repair and well-insulated.